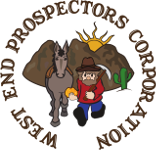 General discussion | West End Prospectors Corp.
Normal topic For sale. Royal large dry washer, echo blower, jobe sluice. Normal topic Easter Weekend at Yellow Gopher?